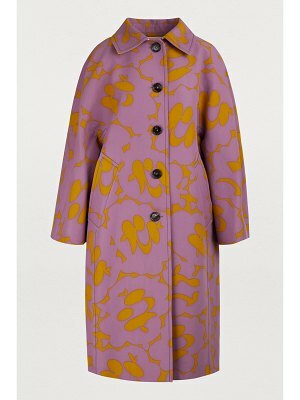 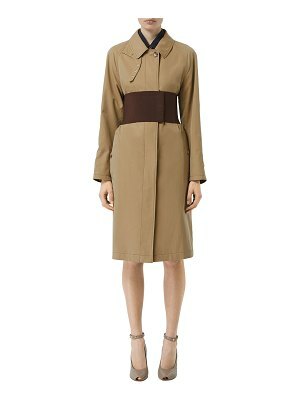 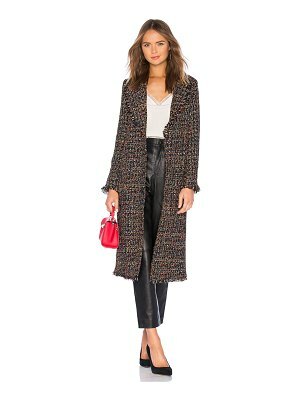 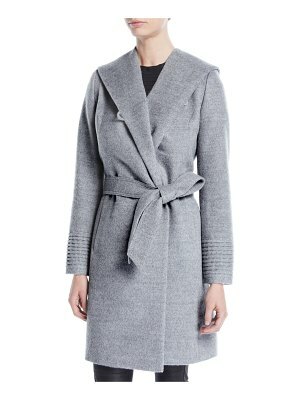 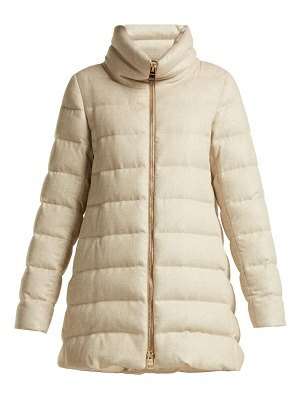 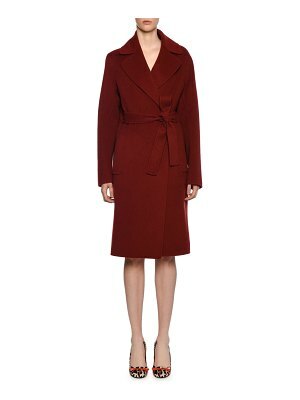 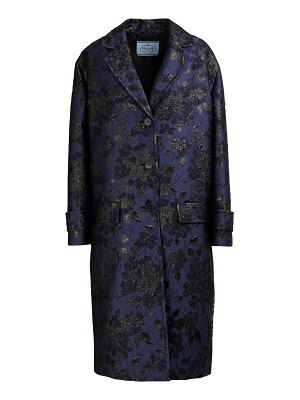 This mid-length coat embodies the unique style of the Prada fashion house. 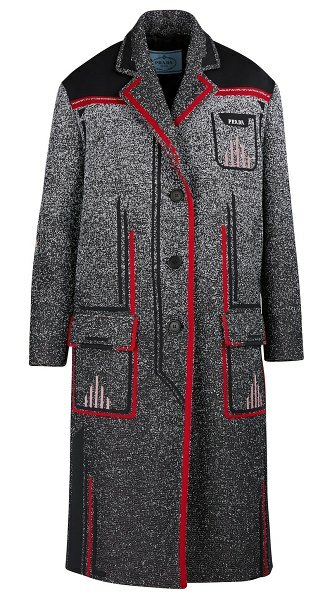 With its wide lapel, red and black details, and geometric designs, it features a three-button closure and two large flap pockets. 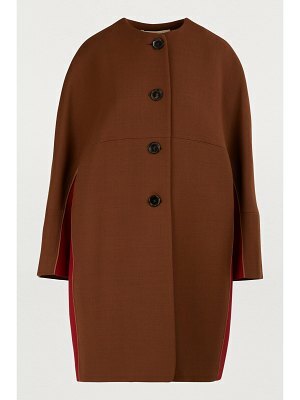 For an elegant look, pair with large heeled boots.